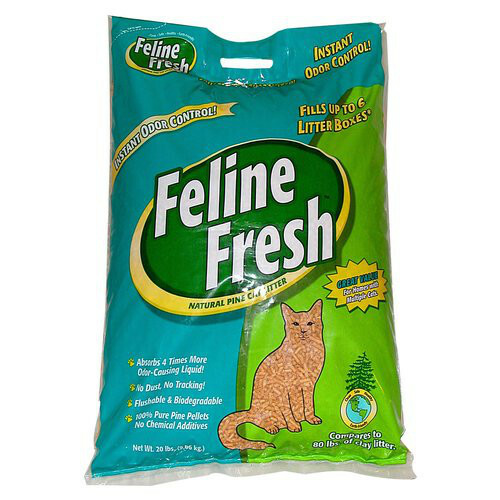 Let pet odors be a thing of the past when you use Feline Fresh Natural Pine Cat Litter. Comprised of 100 percent pure, southern yellow pine pellets, this litter instantly neutralizes ammonia odors in the cat box. Longer lasting than clay litters, Natural Pine is flushable and biodegradable, and absorbs up to 4X more odor-causing liquid than competing litters.